A Bimaristan improves public health, and also reduces retraining costs in its host city. 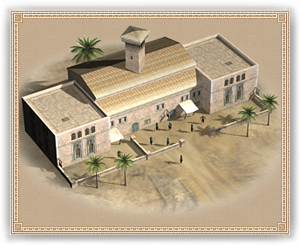 A Bimaristan is a beacon of salvation for those in need of medical care, be it against injury or disease – essentially an early hospital. Physicians of the Islamic world ensure that the Bimaristan is built in a position that is well ventilated with fresh air, and that each disease is treated in its own hall, so as to better contain the illness.